Kenya is a country brimming with cultures, traditions and beliefs. Countless ethnic groups make up the countries population and they have managed to keep their identity and proudly show travelers their different celebrations. Music, dances, and color are some of the essential ingredients. Gastronomy is also very important, in addition to sports competitions. Due to different religious beliefs, they celebrate both the main Christian holidays, such as Christmas or Easter; and also Muslim events, such as Ramadaan, which a proportion of the population follow strictly. It is also a country rich in history which has a history of British occupation, so one of the key dates is the day of Kenyan Independence, on December 12. Do not miss the calendar of popular festivals in Kenya to enjoy the best events when traveling to Kenya. 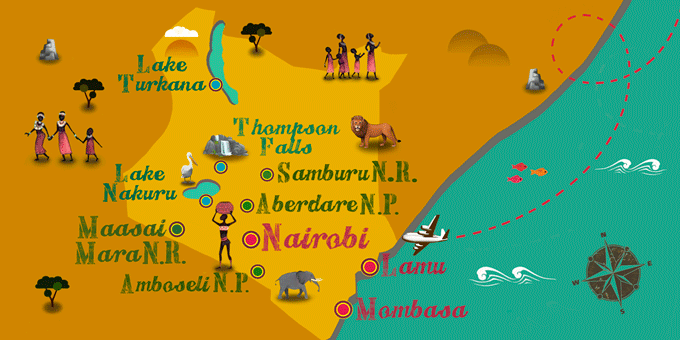 If Kenya has caught your attention, leave us your number so we can call you to discuss the voyage that awaits you.